At its core, the grilled cheese is a very simple sandwich, but it is this simplicity that allows for the possibility of so many grilled cheese recipes. The classic grilled cheese might be a favorite comfort food for many, but with the right ingredients, you can turn this easy sandwich into something special. 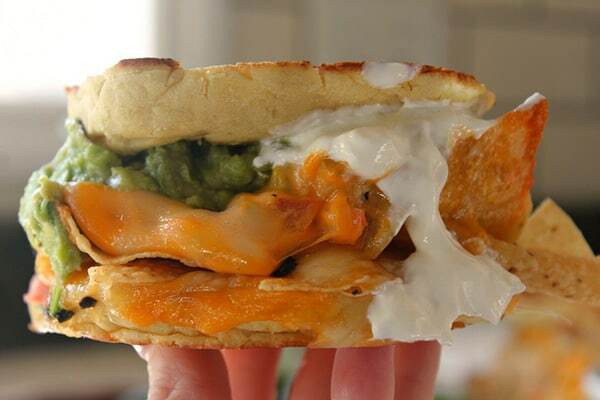 For those that want to try something that is a little different, here are a few of our favorite recipes for outrageous grilled cheese sandwiches. 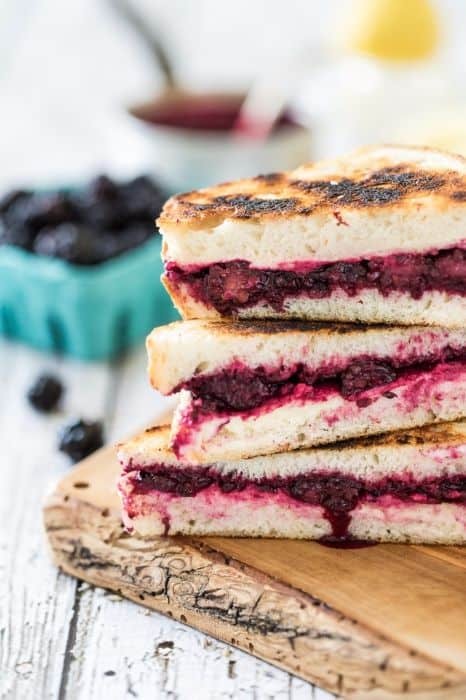 The blackberry sauce gives this grilled cheese a touch of tartness and the smooth creamy flavor of the ricotta cheese helps to balance things out. 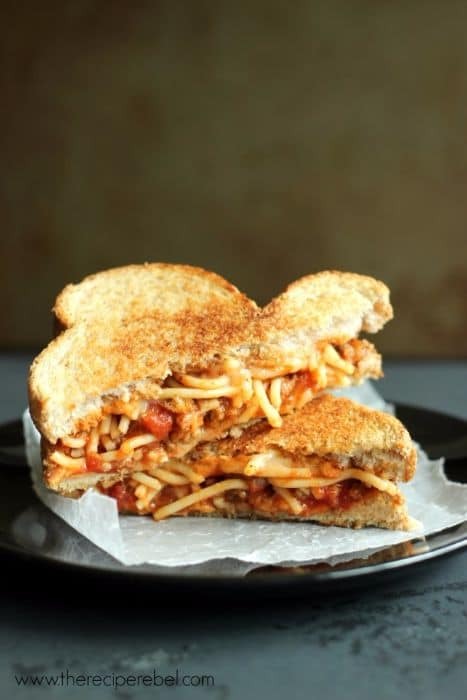 Sandwiched between two pieces of garlic bread, this grilled cheese takes the spaghetti dinner and makes it a handheld meal. 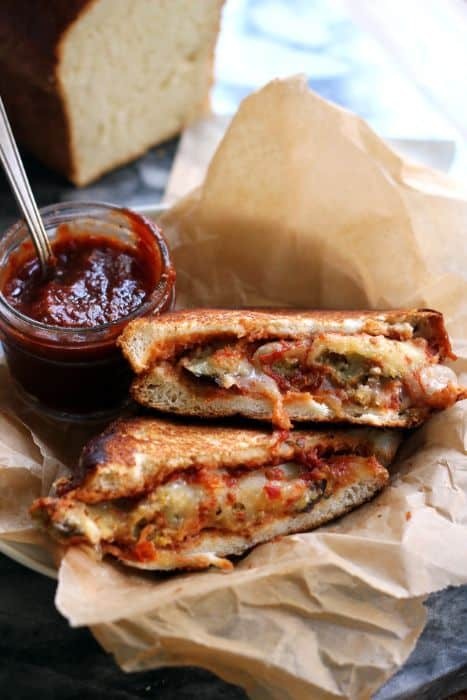 With crispy slices of eggplant, melted mozzarella cheese and chili tomato jam, this sandwich is a few steps beyond your average grilled cheese. 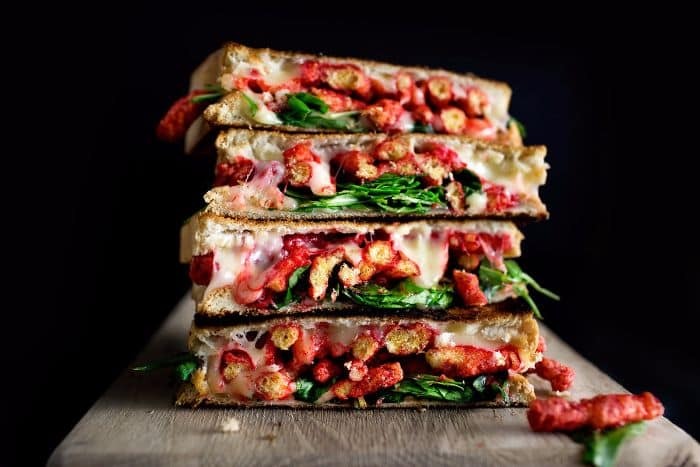 The crunchy hot Cheetos and melted Gouda cheese make for a powerful combination of flavors and textures. 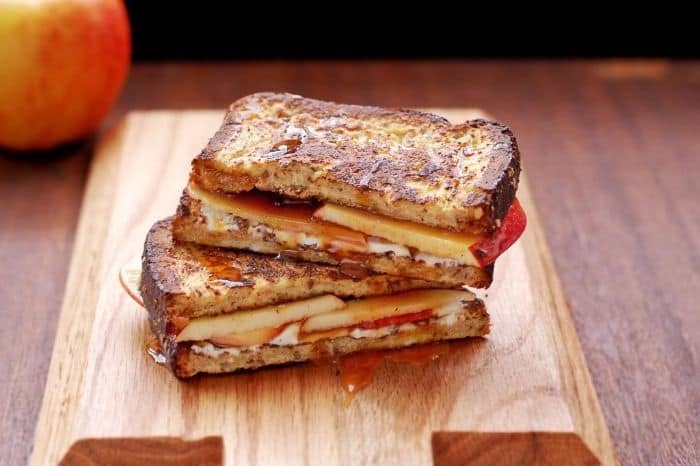 With cream cheese, apple slices and a caramel sauce between two pieces of French toast, this grilled cheese is going to be a breakfast time favorite. 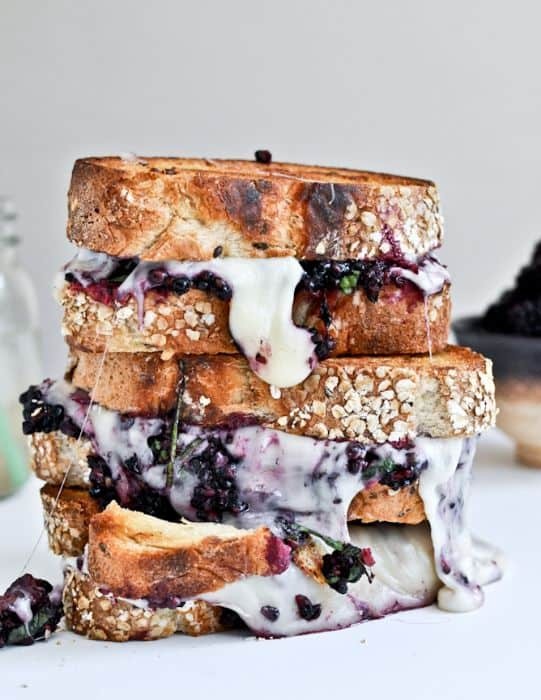 The Fontina cheese plays well off the sweet blackberry sauce for a taste that will leave you wanting more. 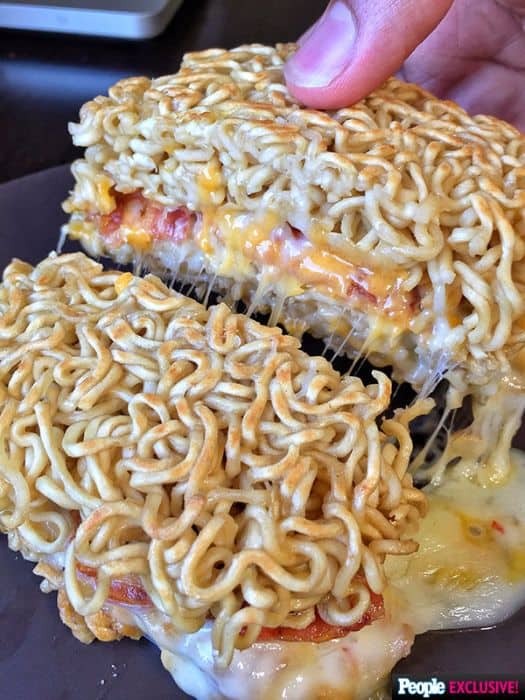 Forget the bread and use these Ramen noodle buns for a grilled cheese sandwich that has bacon in the middle and melted cheese oozing throughout. If you like jalapeno poppers, then this is a recipe that you are going to want to try over and over again. 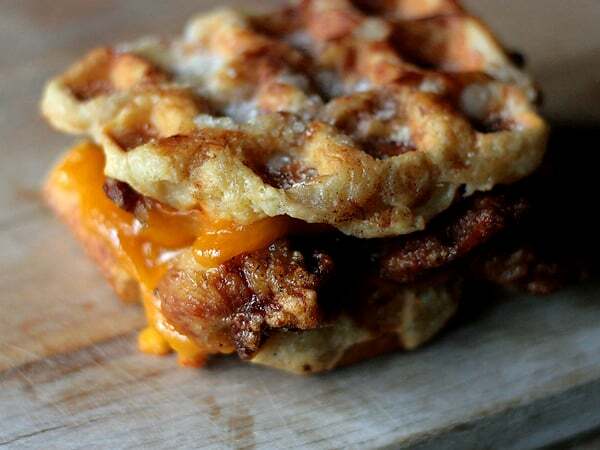 You get a nice combination of salty mixed with sweet when you try the friend chicken and waffles grilled cheese. 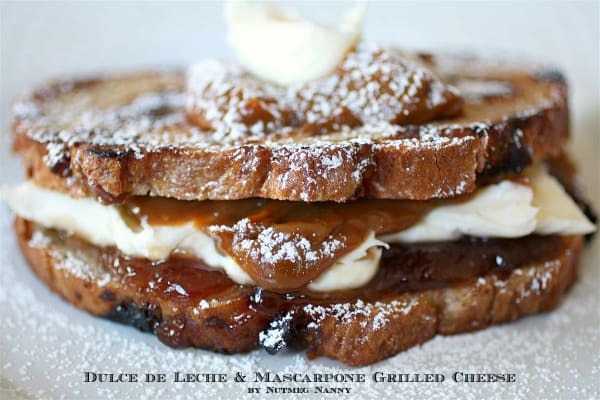 Turn grilled cheese into a dessert with this sweet and tasty recipe for dulce de leche and Mascarpone grilled cheese. 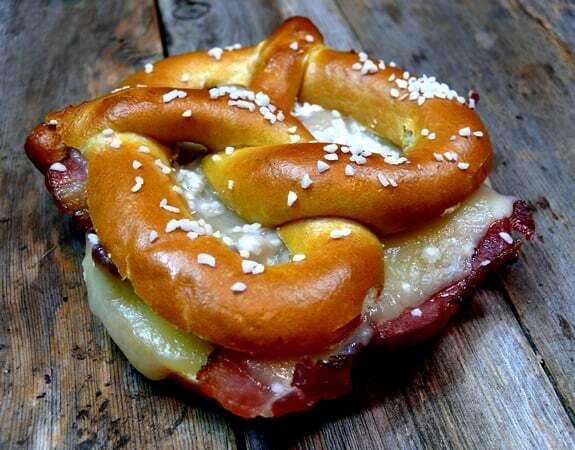 This is a simple grilled cheese recipe that uses soft pretzels for bread and bacon and cheese in the middle. 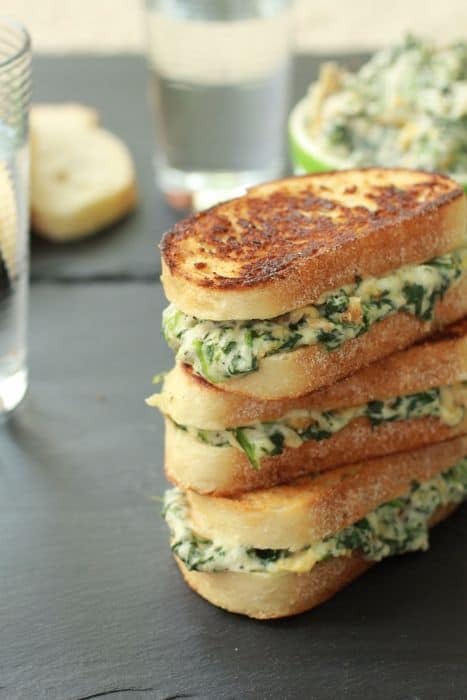 With melted cheese, chicken and a spinach artichoke sauce, this grilled cheese offers an awesome combination of flavors. 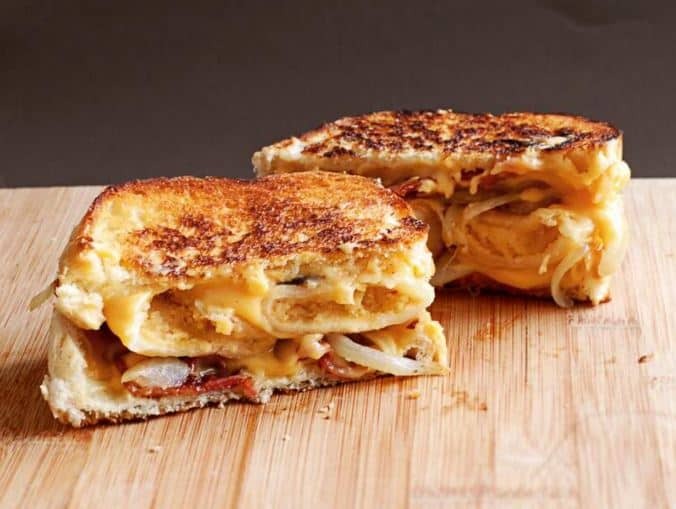 This grilled cheese with bacon, cheese and perogies is simple and delicious. 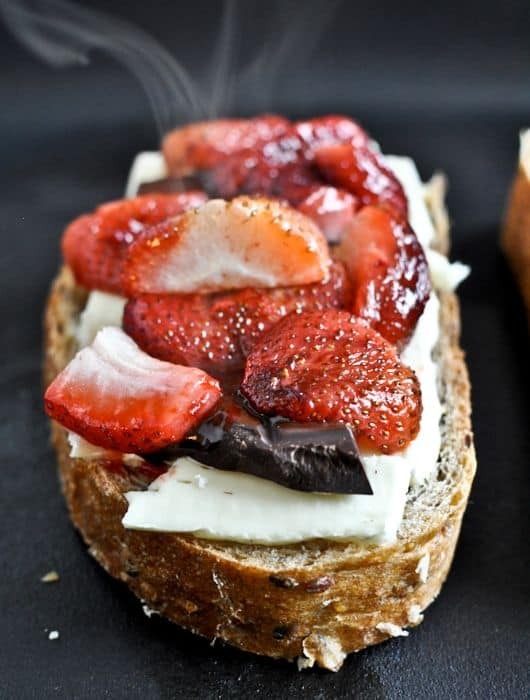 With strawberries, chocolate and melted cheese, this is one of the more extreme grilled cheese recipes that you will come across. Crunchy, cheesy and delicious, the flavor of this grilled cheese will be will be a hit with just about anybody that tries it. With these grilled cheese recipes, you take the simple rainy day classic and make into something that really goes beyond its normal place. 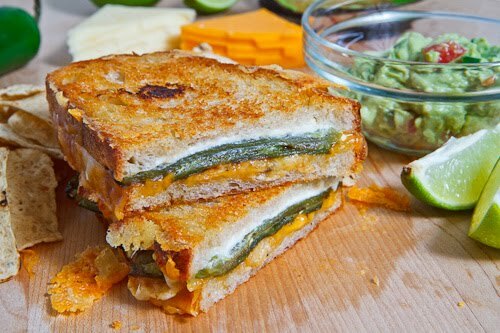 If you are thinking that a simple grilled cheese is not enough, try one of these recipes for a totally new take on your favorite sandwich.